I'm using mybb version 1.8.7. No response at MyAlerts. 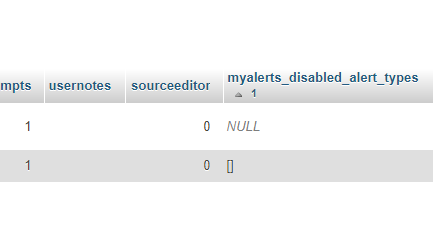 Also I'm create "myalerts_disabled_alert_types" column in mybb_users. Current time: 24-04-2019, 01:02 AM Powered By MyBB, © 2002-2019 MyBB Group.